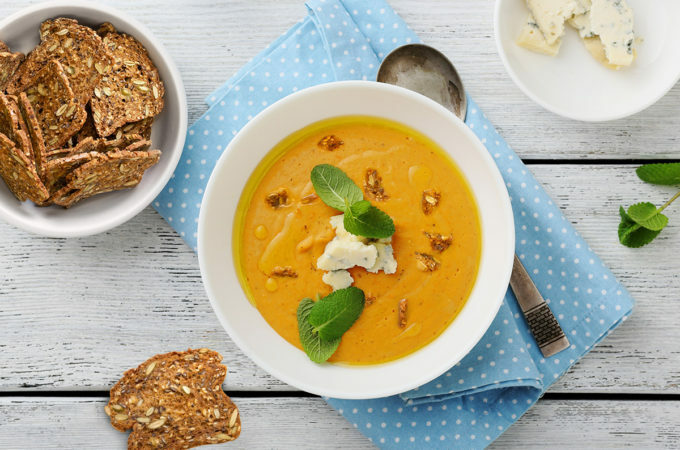 During the cold winter months, nothing warms you up like a hearty bowl of soup. I like to cook a batch on the weekend for convenient and versatile weeknight dinners. This winter squash soup is a simple and delicious dish that you can add some variety to by topping with proteins like sautéed shrimp, vegetables like steamed kale, fresh herbs for garnish and lesley stowe raincoast crisps® original for a texture that ties it all together.